sailboat. 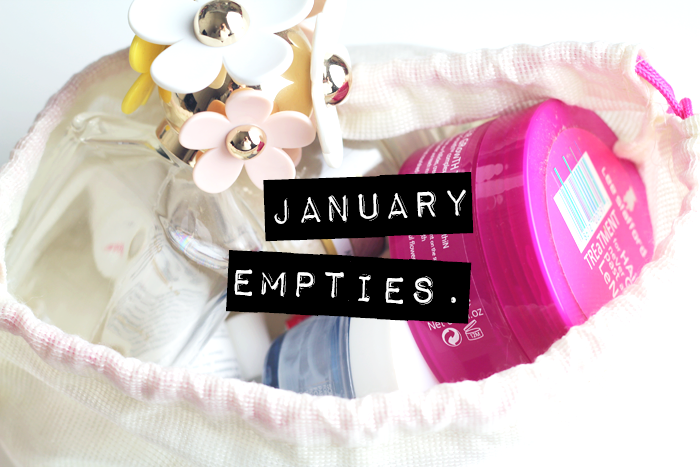 : Things I've Used Up in January. Things I've Used Up in January. There was a time not too long ago when I didn't like using things up. When products were getting close to the end I would move on and try something different. Why? I have no idea. But now I can't imagine leaving tubs, jars or tubes almost finished. My ultimate aim is a small collection of products that I really like and I'm slowly getting there. Here are the things I've managed to finish over the past few weeks and after this I will take great pleasure in putting the empty containers in the recycling! A little sample that came with an Escentual order. It's not meant for my skin type but I gave it a go anyway on blemishes. I didn't really notice a difference but I wasn't really expecting to either. A really nice hydrating conditioner that isn't too heavy and doesn't weigh my normal/oily hair down too much. I haven't done much looking into whether they're cruelty free as of yet, but if they are I would definitely contemplate repurchasing. Although I'm not particularly fussy when it comes to conditioners/hair treatments so I might be tempted to try something new. An eye cream that I wanted to really like but found that it didn't really do very much. It's nice and lightweight, just not very remarkable. I don't think the My Little beauty products from My Little Box are available to purchase, which I think is a shame and I hope that it's something they're thinking of offering in the future. This was a fairly standard scrub though, nothing amazing, but I liked using it whilst I had it. Over the last few years I have accumulated a lot of perfume, most of which don't even come close to my signature scent which is Stella by Stella McCartney. Daisy Eau So Fresh is one of the scents in my collection I do genuinely love. It smells like parma violets and it's very pretty but I think I'm either out-growing it or I'm just kind of over it. Repurchase? I have a slightly smaller bottle I'm currently using but after that, no. This has been my favourite moisturiser for a long time. This was my second to last pot and it really does work wonders at hydrating dry areas and calming redness. I'd love to repurchase but I'm hoping to find a cruelty free moisturiser that I like just as much. I've been really pleasantly surprised by how long these small jars last. This was a lovely light scent, very sugary and sweet with a hint of floral in there too. Repurchase? A different scent, yes. Have you used anything up recently? Oh amazing, thank you for letting me know! I bought my first Yankee Candle this year (I know, where have I been) and I got the gingerbread scent, the large jar and it's still going strong two months later. I can't believe how long it lasts. I'm now on the lookout for a fresher scent for spring too. Perfume-wise have you tried any of Trish McEvoy's range? Lovely post as always. Hope you're having a good week. 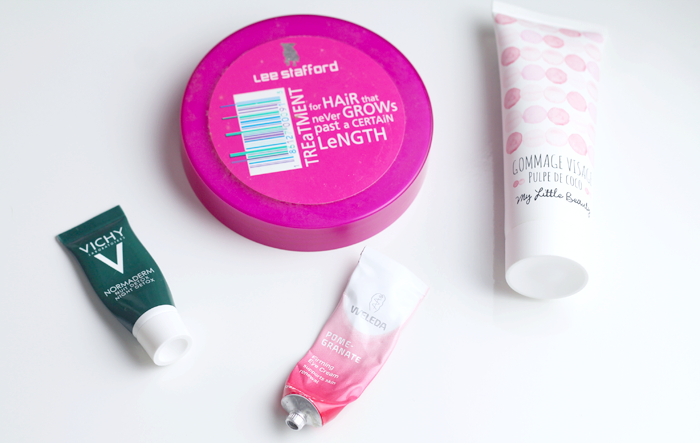 It's a shame you didn't really want to repurchase any of these! I get that a lot though you have to go through a lot of things you find just average until you find something you really love! It's so sad when you finish an expensive perfume, I do love Marc Jacobs though! Shame about that eye cream! It's quite expensive for something which doesn't work. I actually picked up that hair mask today. I swear by it...no idea how on earth it works, but it so does in my mind! i'm quite impressed with you using up a perfume! i've recently made it my mission to finish up a few that i've had for a while because my collection is out of hand and it's just taking forever! I honestly never been a huge fan of the daisy perfumes. Did you think that conditioner helped your hair grow? Using up a parfume is awesome! So impressed! 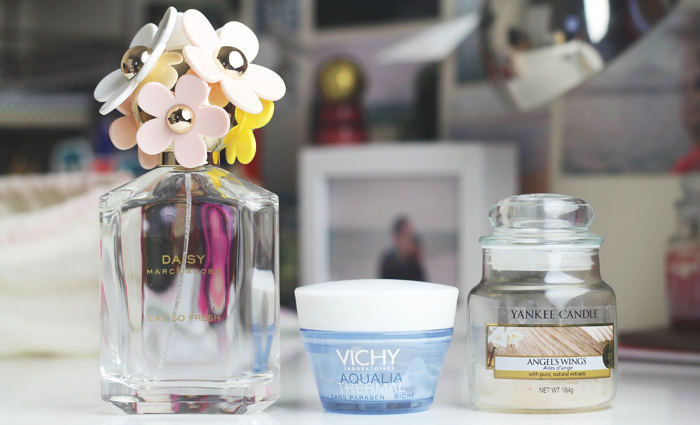 Daisy is a gorgeous parfume; I would love to have it in my collection one day! But it's great to see all the things you've used up! I really want to try the Angel wings candle.